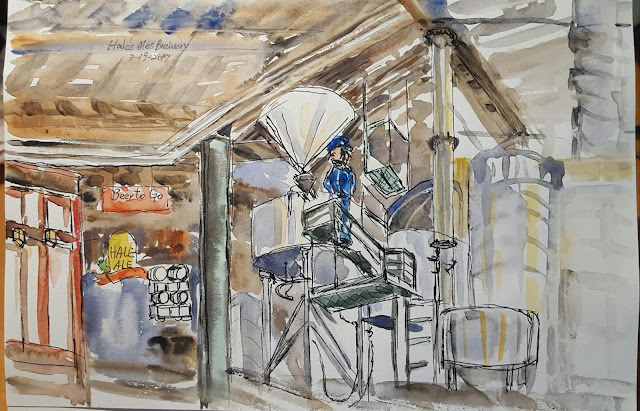 Yesterday was USk Seattle monthly sketching at Hale's Brewery located intheFreemont neighborhood. First time here, although I am a beer lover. When too many subjects in front of me, I often get stuck in details, as this time I told myself avoid it just sketch what interested me most. 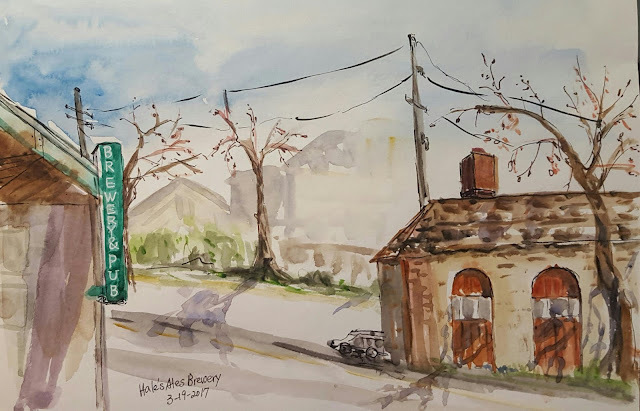 We can not ask more for such a beautiful day and so Iwalked outside the Brewery to sketch under worm sunshine, at the same time why not included the sunlight into shadow. It was really great to sketch outdoors for a change, wasn't it!